We Are Scientists are pretty damn fun. They're fun on record, and they're certainly fun live, with a battalion of quips, puns, in-jokes, and put-downs married to their pop-etched indie punk. New album 'Megaplex' is out now, and the band feel like they've got a lot to talk about - and they want to talk about it with you. 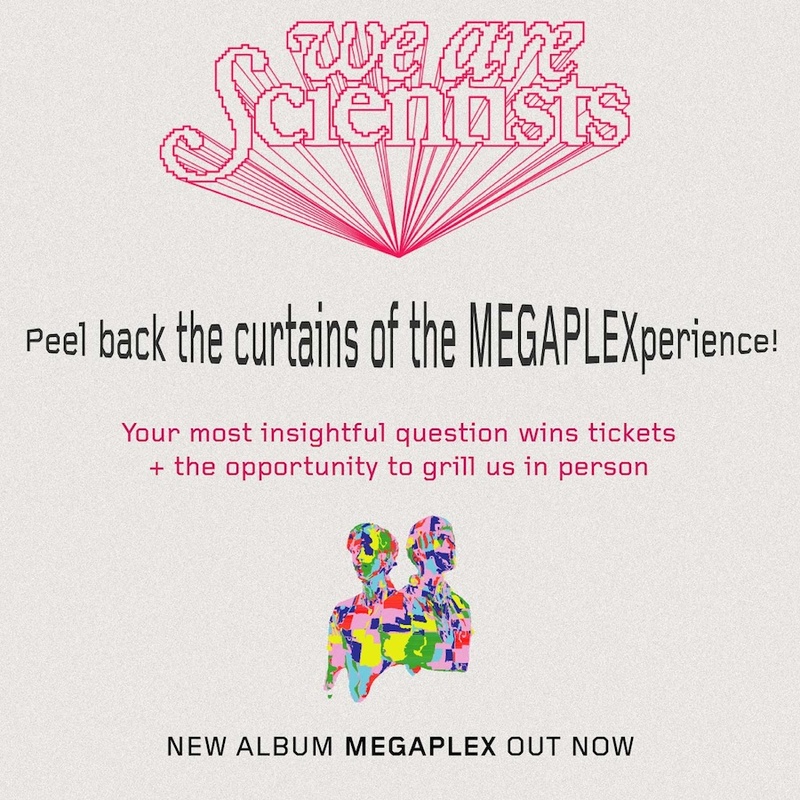 The newly launched 'Megaplexperience' competition gives you a chance to attend their show at London's Shepherds Bush Empire this Friday (May 4th), set to be a highlight on their current tour. As if that wasn't enough, however, you'll be invited to shoot a filmed interview with We Are Scientists, which will then be placed on the band's website and social networks. And then We Are Scientists will pick the lucky winner. Good luck! We Are Scientists will play London's Shepherds Bush Empire on May 4th. For tickets to the latest We Are Scientists shows click HERE.